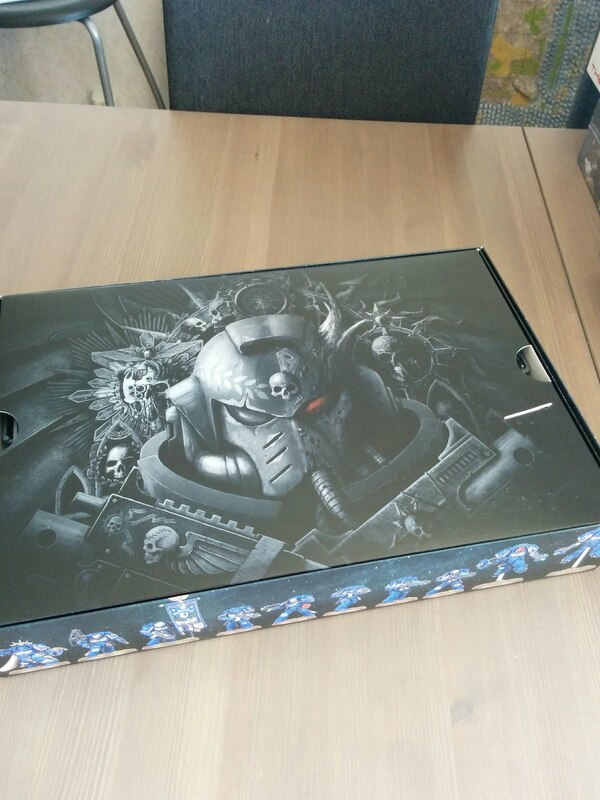 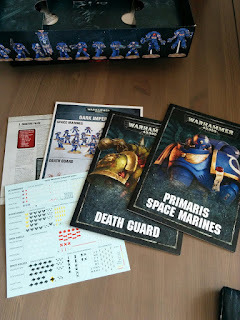 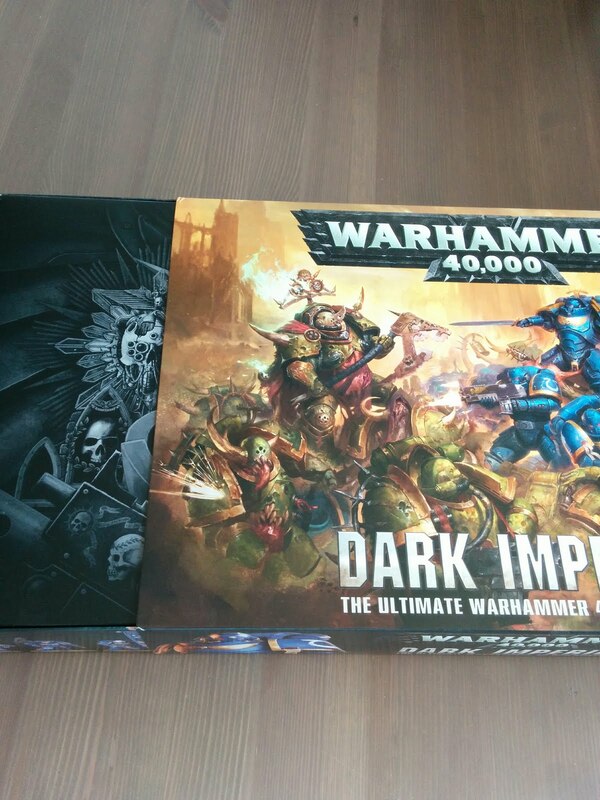 It's been a busy few days, with games dropping in from all over, and today was no exception as the newest starter set for Warhammer 40k arrived. I've not been this excited since the Age Sigmar release! 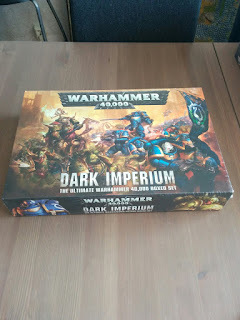 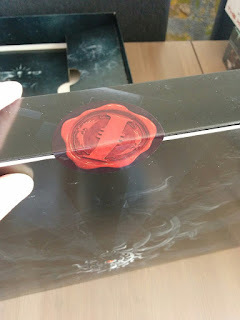 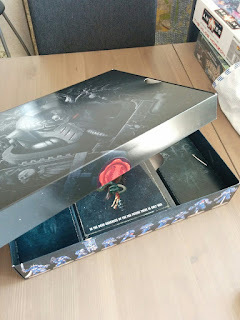 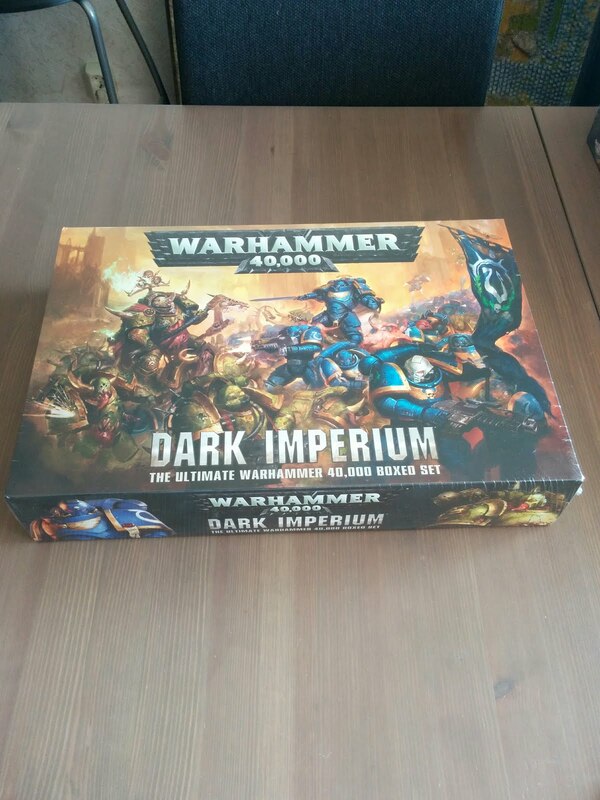 So, what do we get in this beatiful and very heavy box? 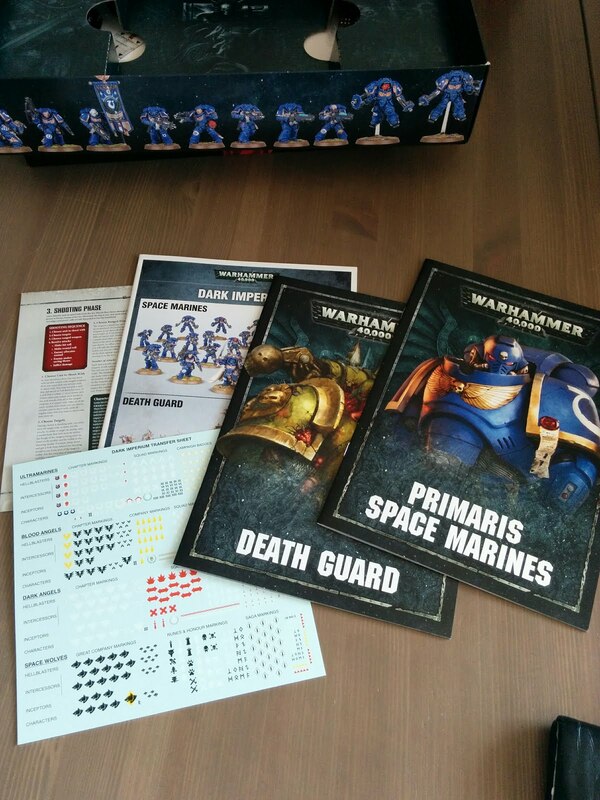 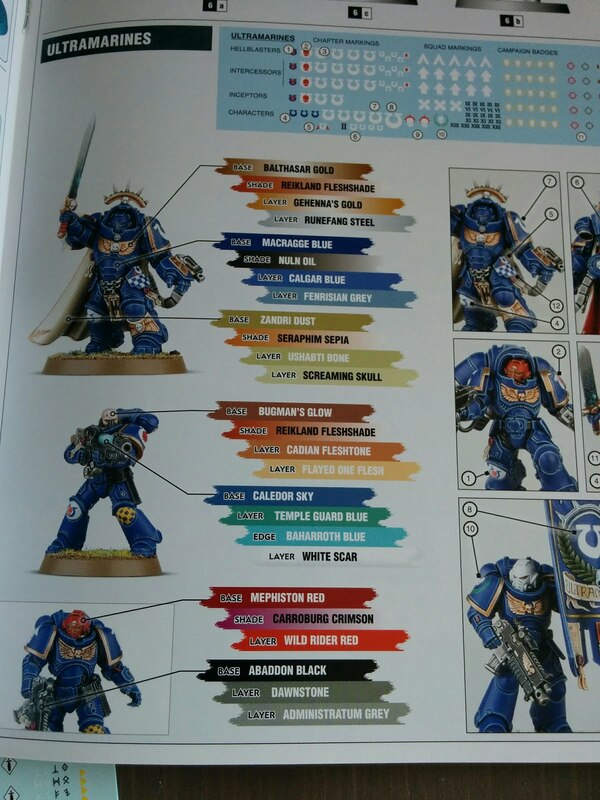 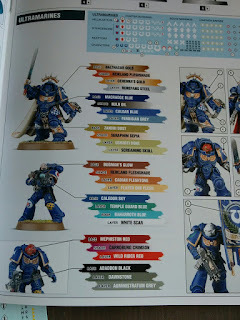 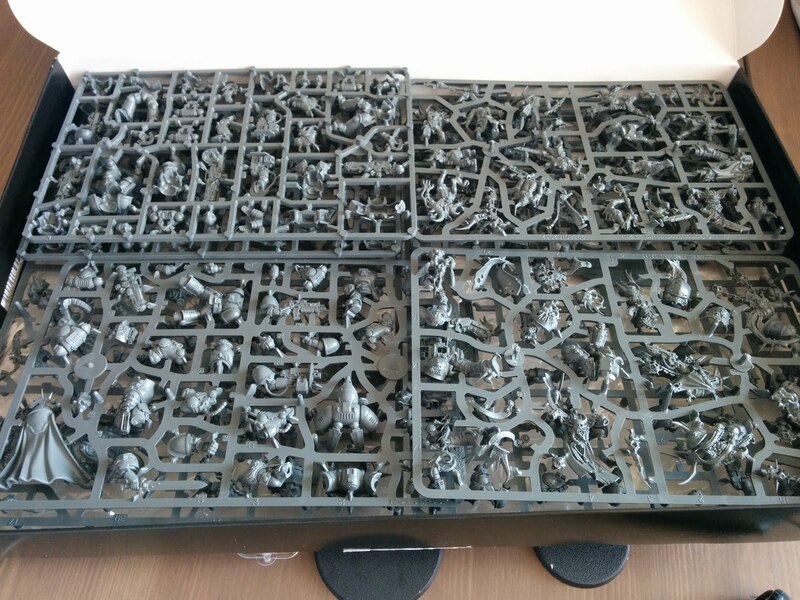 Immidiately from the start, it is clear that GW means business with this set. 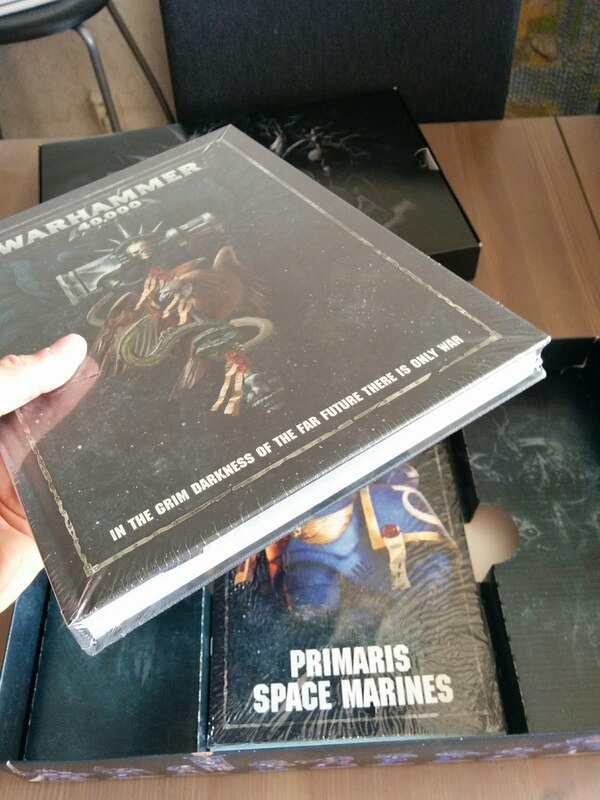 The cover slids open to reveal a nice grimdark two-faced marine staring at you, obviously symbolizing the opposing forces inside. Beneath the box of miniatures is the hardcover rulebook. 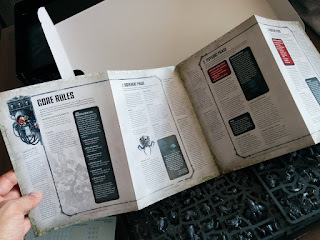 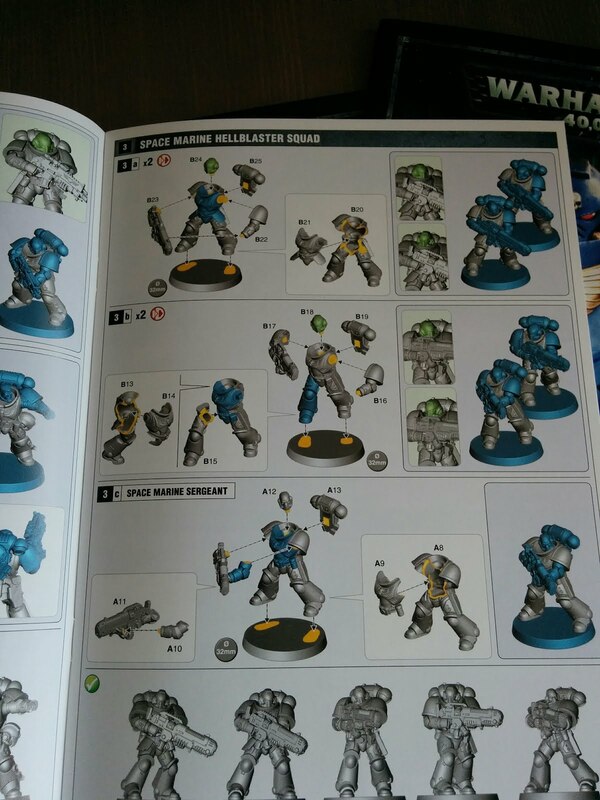 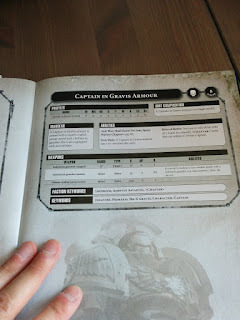 Those of you who've read my Xilos Horizon review knows that I believe getting a full rulebook in a starter set is very genereous, which is a word I wouldn't have used for GW up until recently. 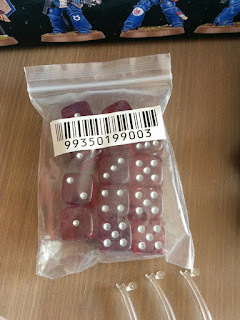 Then there are the usual dice and stuff - only that they too are not the usual small white dice and plastic ruler that you can't see any markings on. 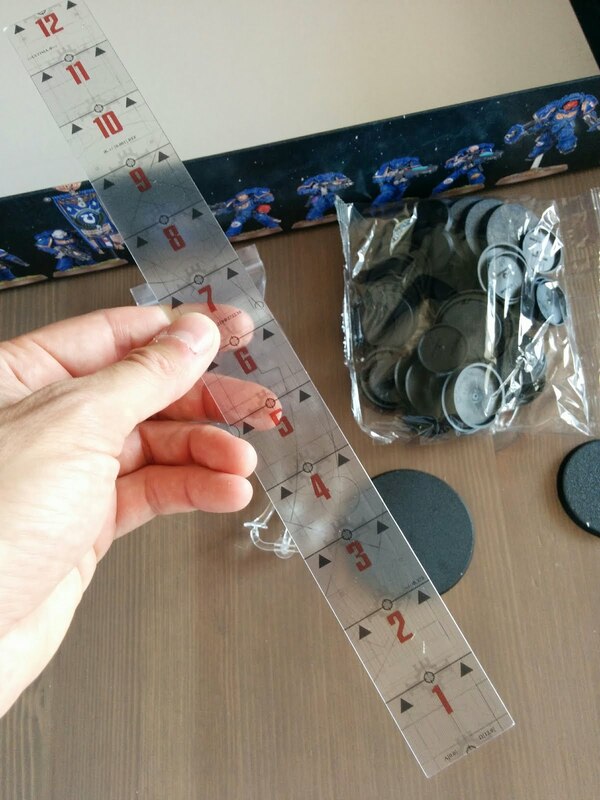 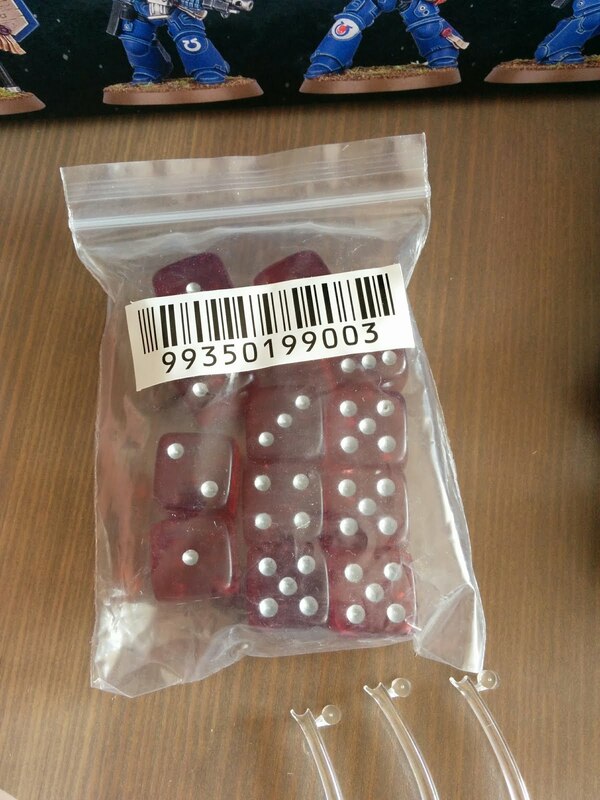 This time there are larger, more exclusive dice, and a really nice flexible, clear plastic, ruler as well. 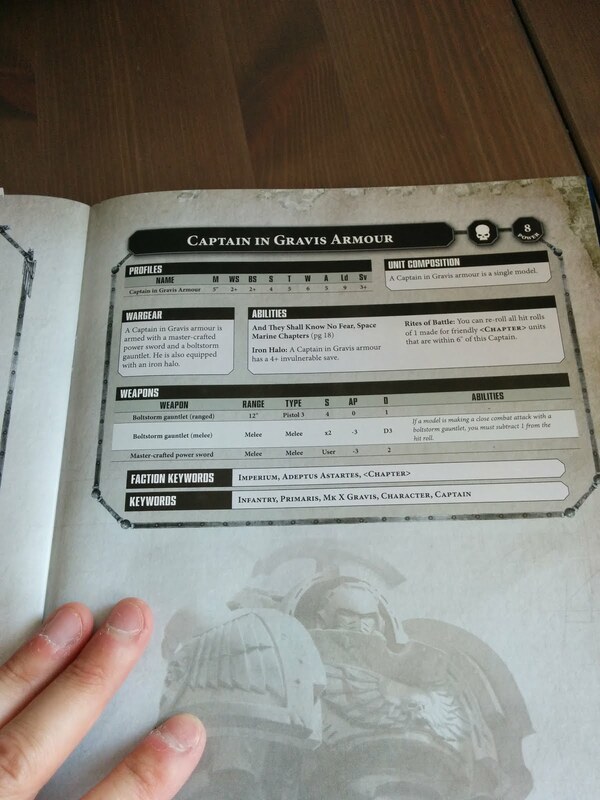 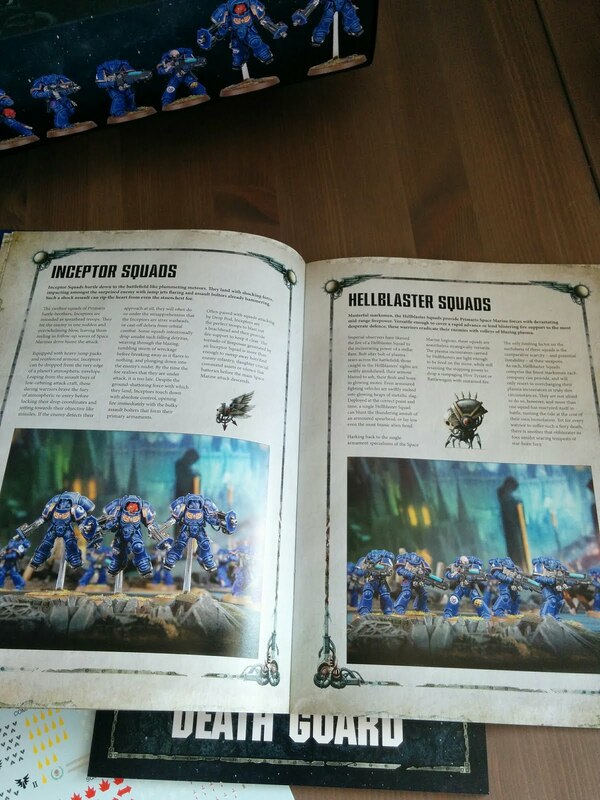 Finally, there are also two small books containing the info of both forces included in the starter set, as well as how to assemble them (in colour, no less!) - and how to paint them. 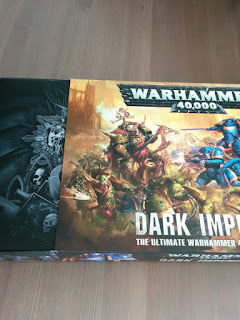 I truly cannot wait to get my first game in tomorrow - and I will definitely write a review of this game and hope it will be as good as I hope it is. 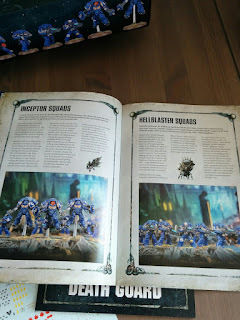 It already has a few of my group's older players coming back, which is a good sign in itself! We had a test game today, with about 600pts/side. 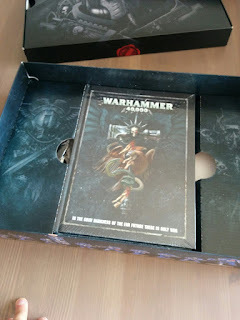 It was a blast - so many rules similar to AoS that it flowed nicely, yet enough to not feel like the same game in space.